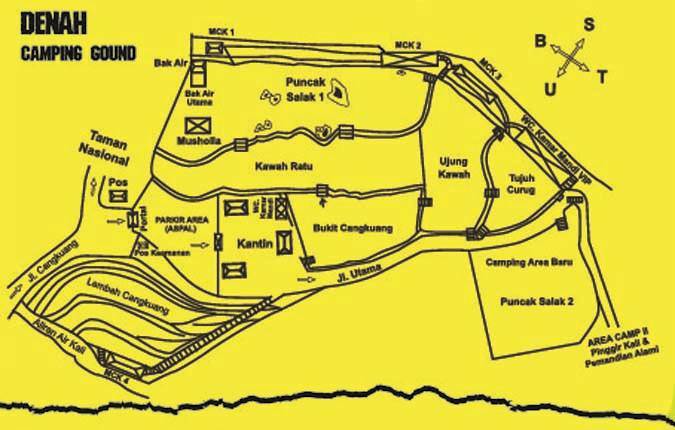 Batu Tapak is the name of camping ground. Located in forest area of cangkuang hill in cidahu village under salak mountain. The name of Batu Tapak taken from the legend of huge tapak stone which is found around camping area. All kinds of plants spread out along the slope, ainside and hill mountain, is a protective forest with various kinds of natural sources, become the home for many kinds of birds and another biota. Salak mountain, which is well known as the sources of mineral water package for the famous product. Having seven natural waterfall and kawah ratu hill which is so fabulous, full of mystery, tale and unique legend that making it interesting. Please don't hesitate to contact us for reservation: family camping, organization, school, campus, jamboree, outbound, outing program, fun gathering, hiking and much more.